We aim to serve the enrichment needs of our Island’s teens and provide unique educational opportunities. Teen Enrichment consists of leadership, education, fitness, community initiatives (youth leadership & business), art programs, foreign language and much more. Check out one of our programs today for the unique opportunity to have fun and make new friends! 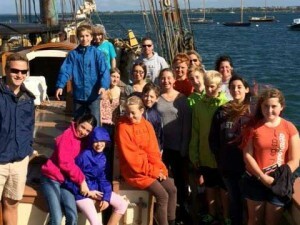 Click to sign up to the Nantucket Community School Teen Enrichment mailing list! This leadership group will be led by Officers Keith Mansfield, Cassie Thompson and Blair Jannelle of the Nantucket Community School and is open to 6-8 graders across the island. Empowering teens to be leaders through volunteerism; this group meets twice per month after school in the Nantucket High School Cafeteria. Blair Jannelle serves as the Coordinator of the Teen Enrichment, Sports Camps and Community Recreation at the Nantucket Community School. Blair is a native of Nantucket Island, his family owns and operates Fifty-Six Union restaurant. After receiving his diploma at Nantucket High School, Blair went on to attend Coastal Carolina University where he earned a Bachelor’s degree in Recreation & Sports Management with an academic minor in Spanish. Blair returned to the Island after serving as a marketing intern for the Hurricane Junior Golf Tour in Jacksonville, FL. Blair has been working with the Nantucket Community School in various capacities since Summer 2013 and as a program coordinator since April of 2014.